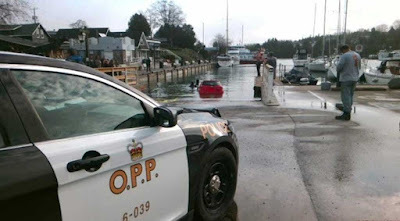 Police in Tobermory, Ontario, Canada, pulled a red car from the harbour early on Friday morning after a woman followed instructions from her GPS and drove down a boat launch ramp and into the water. 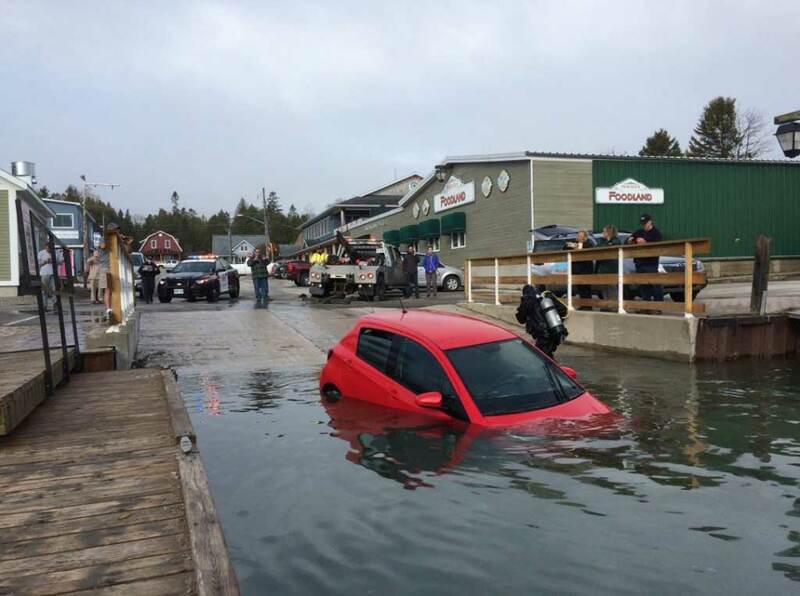 Ontario Provincial Police said the woman was following her GPS "when she took a wrong turn into Little Tub Harbour" late on Thursday night. 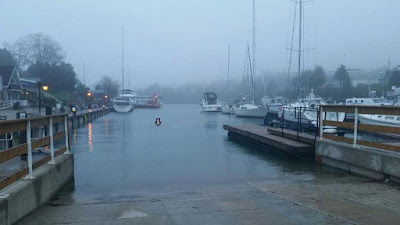 It was raining, dark and foggy at the time. 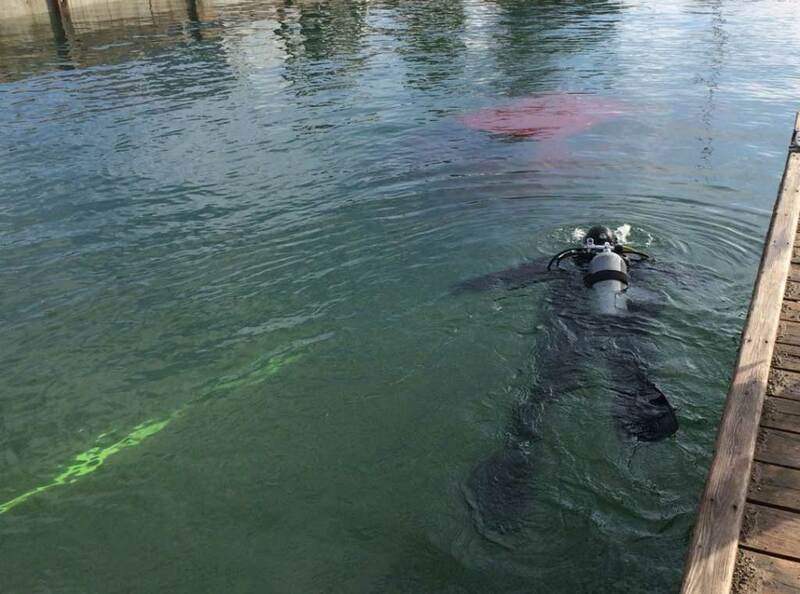 Combining "weather conditions and the driver being new to the area, a fully submerged vehicle was the result," police said. The 23-year-old Kitchener woman was able to roll down her window, get out of the submerged car and swim approximately 30 metres to shore in 4°C water. She then called for help. 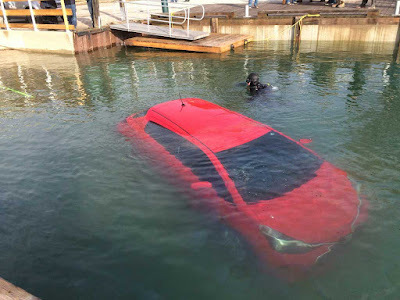 Except for being cold and wet, the woman was unhurt. A tow truck was able to pull the submerged car out of the harbour at 8:22am on Friday morning. 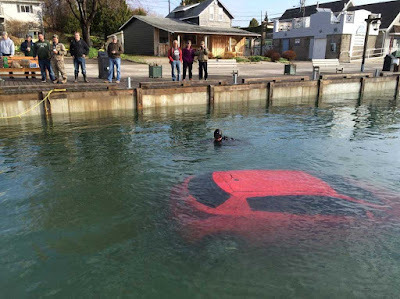 This is why I am not comfortable with the idea of self-driving cars. Ah, the stupid sink quickly. And, YES, self driving cars ??? Want to know how often my highly powered computer does something wrong, like freeze up ? 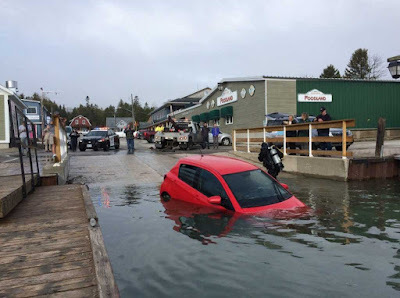 ok, twice this year, luckily we were not doing 100 kph down a highway when it happened. Want to know how many times I have crashed in 45 years driving ? The entire electrical system will need replacing, but at least it was fresh water in which it submerged (Georgian Bay, Lake Huron, Great Lakes, North America).